FFF currently maintains scheduled adoption events at Rheem Valley Pet Shoppe. 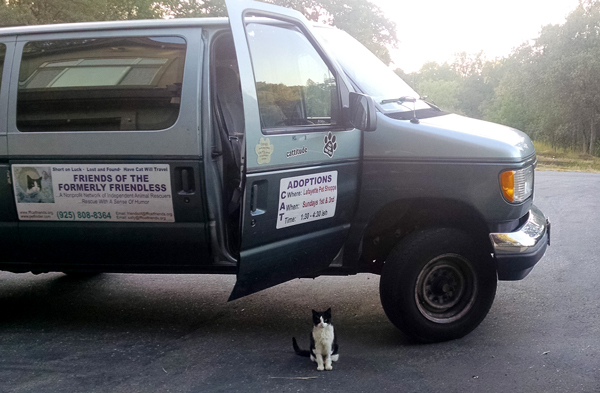 FFF will continue private showings/appointments through our HAVE CAT WILL TRAVEL PROGRAM to show our "Formerly Friendless Felines" until we can secure another monthly adoption site to be able "meet and meow" with our public. We will be holding a series of SPECIAL ADOPTION EVENTS. CONSULT our WEBSITES, fffcatfriends.org and Petfinder.com/Friends of the Formerly Friendless for our future SCHEDULES and LOCATIONS. We look forward to seeing you at our new locations. PETUNIA and I look forward to seeing you. came to FFF a very sick boy He had been living in a smoke filled drug house and had contracted a serious intestinal infection. He had been relegated to an outdoor/indoor scenario, where he basically fended for himself. It took FFF a long time to stabilize his condition but he now is a friendly and affectionate and healthy kitty. Despite his neglect, he seeks human attention and prefers it to other cats. He enjoys a safe outdoor, screened patio where he can enjoy the outdoors but not be at risk. In order to keep his stomach healthy we feed him food designed for sensitive stomachs. Sweet Pete, aka S.P., is patiently waiting for a new beginning in a home that will return his affection forever. despite her tiny size when she came to us is proof that dynamite comes in small packages! As a tiny kitten, she was full of energy, fearless, and packs quite an attitude. She has held her own and wrestles with her foster brothers who are twice her size. Pauline receives her name from a reference to “Perils of Pauline” an old silent film because she was found all alone on the side of Highway 80 in the dead of night by a vigilant driver. Since her stay with FFF she has grown into a large affectionate friendly girl. She does well with other friendly cats. She is affectionate with people and loves to get and give attention. Pauline will make a great family member for a family or individual. She has not been around children but given her nature we would think that she will do well with gentle children. Pauline is available for adoption. Pauline is an Indoor Only cat. Our "Downtown" BOSTON AUSTIN is a cool and savvy dude of a kitty! He is a big, lanky, sleek boy with lots of energy and affection to give. He is OK with other non aggressive cats, but he likes to initiate the play. He hates being closed out of the action and will cry until he can be part of the family. He seems to be a nice blend of "dog kitty" and lovable gallump. He likes to plop down and get scratches. He should make a loving, active boy and great member of any family. Good buddy cat for DAD! You can see all of our adoptable animals at our adoption pet list here. just click that animal's "More In-fur-mation" link. at which the cat entered F.F.F. 's Program. F.F.F. makes every effort to update the ages of our cats periodically. When inquiring regarding one of our cats, please ask regarding the current age. Come join us at the Rheem Valley Pet Shoppe for an Adoption Weekend. 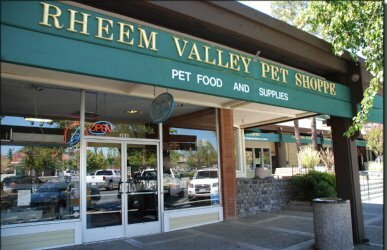 The nice people at Rheem Valley Pet Shoppe have invited us to bring our Formerly Friendless Felines to "Meet and Meow" with you, along with our Featured Pet. An interview, application and home visit is required, followed by a 5-7 day trial visit of the selected pet in the prospective adoptive home. At the end of the trial period, FFF will evaluate the trial visit and determine the suitability for adoption. If deemed necessary by FFF, a final home visit is required. An Animal Care Adoption Contract is required to be signed by the adopter and a legal FFF representative, upon final FFF approval. The adopter(s) must be of legal age to sign a legal contract. FFF does NOT allow FFF animals to be given as gifts or adopted for third parties. Special circumstance adoptions are available for eligible adopters. In an effort to provide our F.F.F. graduates, their families, and our dedicated F.F.F. fosters/staff with peace of mind, we have begun micro chipping all of our adoptees. This will provide a safety net for our formerly friendless felines that go on to their new homes. F.F.F. is listed as the secondary contact in the event that an emergency or unforeseen circumstance causes them to be lost, stolen or strayed. This should make sure that our F.F.F. adoptees will always have a friend if they are in need and always be "formerly friendless". We show our cats by appointments in the evenings during the work week, either at our adoption site, or your home. 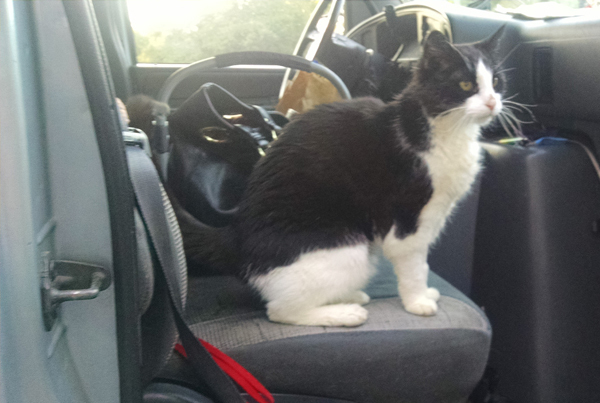 Appointments can be made with Sally through our HAVE CAT WILL TRAVEL Program. Availability of the cats or kittens for appointment depends on the availability of the foster and transportation arrangements. If you see a cat or kitten you are interested in on our website, contact Sally via our email or by phone to check on the availability of that cat or kitten for evening appointments. As a rule, F.F.F. does not offer kittens below twelve-to-fourteen weeks of age for adoption. All F.F.F. cats and kittens are combo tested for feline AIDS and feline Leukemia prior to adoption. Our veterinarians have advised us that the testing for these diseases is not accurate or dependable below twelve-to-fourteen weeks of age. 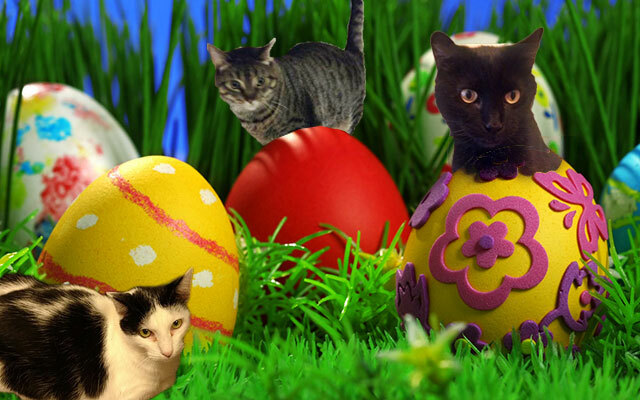 Therefore, we will not release any cat or kitten for adoption until we can be assured of an accurate test result. It is F.F.F. 's philosophy that we will not knowingly adopt any cat or kitten into your home that we wouldn't place in our own homes. We appreciate your understanding. © Copyright 2019 FFF Cat Friends. All rights reserved. Permission to use, copy, and distribute graphics contained in this document for any purpose is not granted. Do not use any graphics without specific, prior written permission.